The average time it takes to fully load a mobile landing page is 22 seconds, according to a new analysis(1). Yet 53% of visits are abandoned if a mobile site takes longer than three seconds to load(2). That’s a big problem. The above is the opening paragraph of Google’s Find Out How You Stack Up to New Industry Benchmarks for Mobile Page Speed Article. 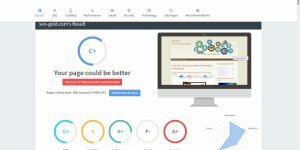 (1) Google Research, Webpagetest.org, Global, sample of more than 900,000 mWeb sites across Fortune 1000 and Small Medium Businesses. Testing was performed using Chrome and emulating a Nexus 5 device on a globally representative 3G connection. 1.6Mbps download speed, 300ms Round-Trip Time (RTT). Tested on EC2 on m3.medium instances, similar in performance to high-end smartphones, Jan. 2017. (2) Google Data, Global, n=3,700 aggregated, anonymized Google Analytics data from a sample of mWeb sites opted into sharing benchmark data, Mar. 2016. Firstly in July 2018 Google will use mobile page speed as a ranking factor, if your mobile site isn’t already optimized for speed it might loose Google mobile traffic later this year. 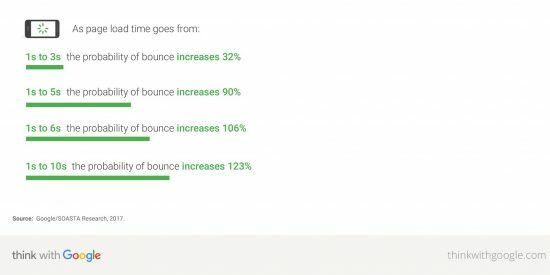 Secondly emulated mobile tests by Google with a decent smartphone on a 3G network results in the majority of websites loading SUPER SLOW and real Google Analytics data indicates if a mobile webpage takes over 3 seconds to load over 50% of visitors bounce (they give up) and the slower a page loads higher the bounce rate! 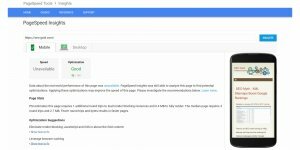 Google trained a deep neural network (a computer system modeled on the human brain and nervous system) with a large set of bounce rate and conversions data. The neural net, which had a 90% prediction accuracy, found that as page load time goes from one second to seven seconds, the probability of a mobile site visitor bouncing increases 113%. Similarly, as the number of elements (text, titles, images) on a page goes from 400 to 6,000, the probability of conversion drops 95%. Basically anyone can test a website in the same way Google tests mobile websites. What this means is if your business website is average on mobile page speed (22 seconds is average!) you are loosing well over half your visitors (over 3 seconds to load means over 50% of visitors give up) before they’ve even looked at your website content! 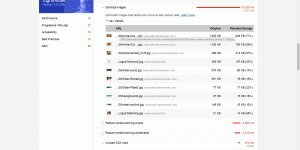 Double Your Google Traffic by Speeding up Your Website Load Times! Think about that for a moment, your potential customers are finding your website on Google, clicking the link to visit your site, (you’ve achieved the hardest part of SEO) but because it’s slow loading over half are going back to Google to see the next search result (your competitors)! If your mobile site loads slow half the work you’ve put into search engine optimizing content, building backlinks etc… was wasted simply because for whatever reasons your site loads like a snail! If you rely completely on your website for making sales etc… this is the equivalent of half your staff doing no work, but you still have to pay them. 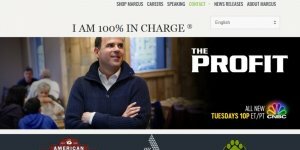 No serious business would pay half their staff to do nothing, yet the vast majority of online businesses are wasting half their website traffic. The sad thing for me as an SEO consultant is a lot of the mobile page speed issues are relatively easy to fix. It’s not easy to bring the average website mobile page speed down to below 3 seconds, but it’s certainly possible to bring most websites to way below 10 seconds and many below 5 seconds: depends upon a lot of factors. Remove the reasons for slow mobile page speed and you in effect could double your search engine traffic for free. 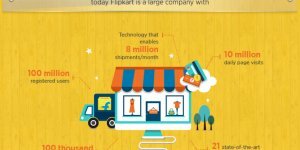 How much money would you make if conversion/sales doubled overnight? 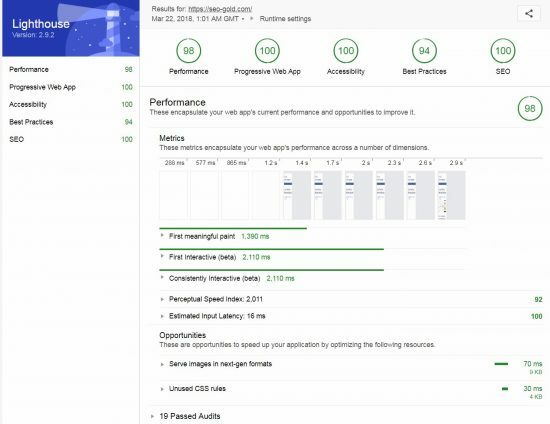 This website for example runs very fast on mobile devices because it’s optimized for speed (speed is a top priority), see the home pages Lighthouse audit tool results below. The screenshot below is from February 22nd 2018 using the Chrome built in version of Lighthouse. The screenshot below is from February 28th 2018 using the Chrome extension version of Lighthouse. The screenshot below is from March 22nd 2018 using the Chrome extension version of Lighthouse. 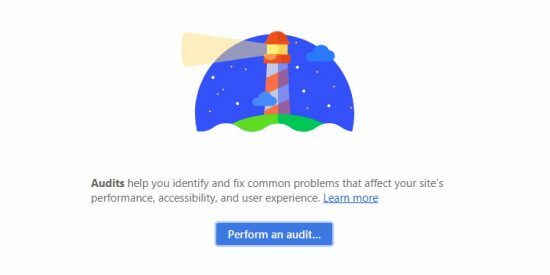 Feel free to test this sites home page yourself, all you need is Google Chrome and follow the Lighthouse audit tool instructions to test any website. 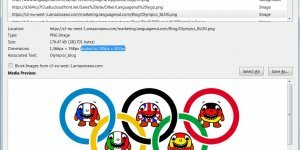 You will note this websites home page consistently shows very fast loading on mobile devices, it would be difficult to get it to load much faster without investing in a higher quality dedicated server: this site runs on a cheap Godaddy VPS (costs me ~$200 a year to run over 100 domains). 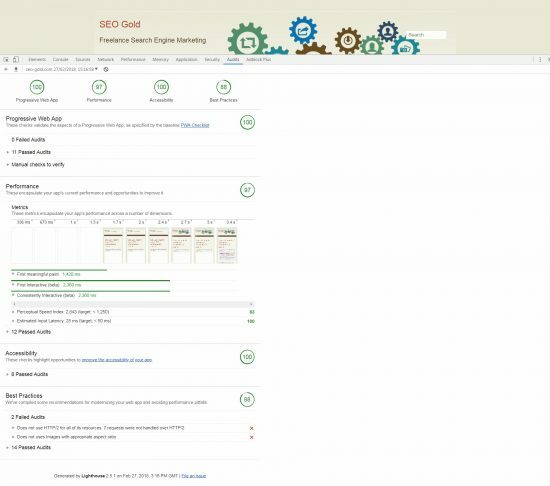 You will find the SEO Gold website performs better than many SEO company sites running on dedicated servers. 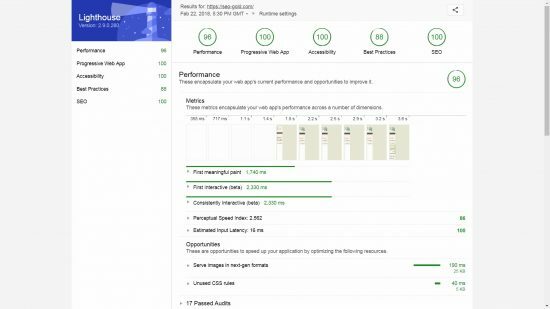 How fast/slow does your website load according to the Lighthouse audits tool?